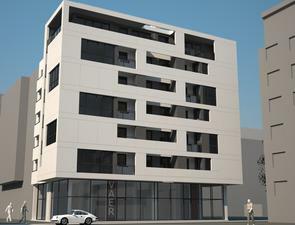 All the apartments in our building in Lava Tolstoja St. number 3 on Grbavica are sold. There are only retail shops on the ground floor left, available for sale. Building in number 12 Miše Dimitrijević St. is finished. 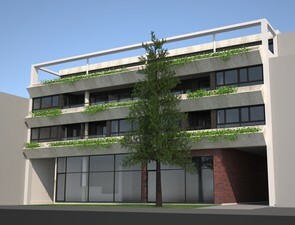 Construction on the building in 10 Lasla Gala St. has started. You can see sketches on 'Apartments' page. Vision of Miše Dimitrijević St. between corners with Gogoljeva St. and Puškinova St.
Just two month after finishing the construction work on the building in number 3 Lava Tolstoja St., it is registered. 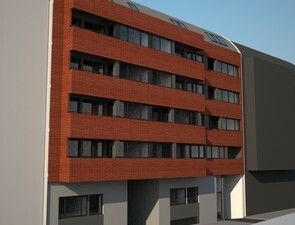 Construction works are finished on the building in number 3 Lava Tolstoja St. in quiet part of Grbavica.